Swimline Giant Shootball Basketball For Swimming Pool Now $19.99 [Was $35.42] at Amazon! Kindly refer the User Manual before use. 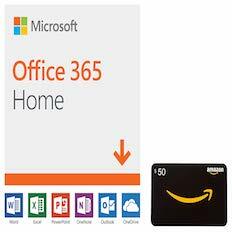 Microsoft Office 365 Home (12 Month Subscription 6 People) + $50 Amazon Gift Card For $99.99 Today Only at Amazon!